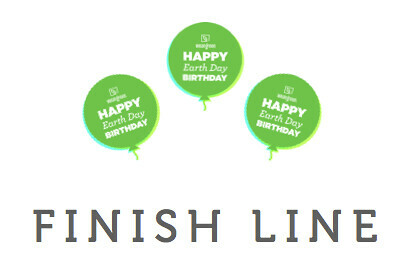 Earth Day Birthday Finish Line! This entry was written by Melissa, posted on April 22, 2015 at 9:00 am, filed under Eco-Friendly Living, Wean Green Contests. Bookmark the permalink. Follow any comments here with the RSS feed for this post. Trackbacks are closed, but you can post a comment. wean green, rarz, 1%, Bebe au lait, kidoodle TV, Chico bag, organic kidz, Meghan telpher, mixie baby, moby wrap, beautygram, clek, jujube, grades of green, beco, mommy con, tekhni, watch and roll, silikids, purple frog patches, zoli, back to wean green! wean green, rarz, 1%, Bebe au lait, kidoodle TV, Chico bag, organic kidz, Meghan telpher, mixie baby, baby rabies, moby wrap, beautygram, clek, jujube, grades of green, beco, mommy con, tekhni, watch and roll, silikids, purple frog patches, zoli, back to wean green! Wean Green, Rumparooz – Kanga Care, 1% for the Planet, Bebe au Lait, KidoodleTV, ChicoBag, organicKidz, Meghan Telpner, mixiebaby, Baby Rabies, Moby Wrap, Beautygram, Clek, Ju-Ju-Be, Grades of green, Beco baby carrier, mommycon, Tekhni, Watch & Roll, Silikids, Purple Frog Patches, Zoli inc then end at Wean green! following all sponsors on facebook as well as twitter and shared the giveaway post to my Facebook page ! oops .. forgot one .. bebe au lait!! And i love them!! Oops!! Wean Green, Rumparooz, 1% for the Planet, BeBe Au lait, Kidoodle, Chicobags, OrganicKidz, Megan Telpner, Mixie Baby, Baby Rabies, Moby Wrap, Beauty Gram, Clek, Jujube, Grades of Green, Beco, MommyCon, Tekhni, Watch & Roll, Silikids, Purple Frog Patches, Zoli Inc, then back to Wean Green! KangaCare, 1% for the Planet, Bebe au Lait, KidoodleTV, ChicoBag, OrganicKidz, Meghan Telpner, Mixie Baby, Baby Rabies, Moby Wrap, BeautyGram, Clek, Ju-Ju-Be, Grades of Green, Beco Baby Carriers, MommyCon, Tekhni, Watch & Roll LLC, Silikids, Purple Frog Patches, Zoli, WeanGreen… what a fun contest, thanks! KangaCare, 1% for the Planet, Bebe au Lait, Kidoodle TV, ChicoBag, OrganicKidz, Meghan Telpner, Mixie Baby, Baby Rabies, Moby, BeautyGram, Clek, Ju-Ju-Be, Grades of Green, Beco Baby Carrier, MommyCon, Tekhni, Watch and Roll, SiliKids, Purple Frog Patches, Zoli, Wean Green! I feel like I’m missing Our Stable Table but I couldn’t find their clue on any social media! Ack!! 18. Watch & Roll, LLC. Kanga Care, 1% for the Planet, Bebe au Lait, Kidoodle TV, ChicoBag, organicKidz, Meghan Telpner, Mixie Baby, Baby Rabies, Moby Wrap, BeautyGram, clek, Ju-Ju-Be, Grades of Green, Beco Baby Carrier, MommyCon, Tekhni, Watch & Roll, Silikids, Purple Frog Patches, zoli.inc, Wean Green! Rumparooz-KangaCare, 1% for the Planet, Bebe Au Lait, KidoodleTV, ChicoBag, OrganicKidz, Meghan Telpner, Mixie Baby, Baby Rabies, Moby, BeautyGram, Clek, Ju-Ju-Be, Grades of Green, Beco, MommyCon, Tekhni, Watch & Roll, Silikids, Purple Frog Patches, Zoli Inc., Wean Green. I followed through: starting with wean green, rumparooz-kanga care, 1% for the planet, bebe au lait, kidoodleTV, chicobag, organickidz, Meghan telpner (Twitter), Mixie baby, baby rabies, moby wrap, beautygram, Clek, ju-ju-be, grades of green, Beco baby carrier, mommycon, tekhni, watch & roll, silikids, purple frog patches, Zoli.inc, and back to wean green! Reposting because I forgot to put my information! Silly me. I followed through: starting with wean green, rumparooz-kanga care, 1% for the planet, bebe au lait, kidoodleTV, chicobag, organickidz, Meghan telpner (Twitter), Mixie baby, baby rabies, moby wrap, beautygram, Clek, ju-ju-be, grades of green, Beco baby carrier, mommycon, tekhni, watch & roll, silikids, purple frog patches, Zoli.inc, and back to wean green! Thanks for the fun contest Wean Green! How fun! So many great brands with awesome products! The answers are: Kanga Care, 1% for the Planet, Bebe au Lait, Kidoodle TV, Chico Bag, Organic Kidz, Meghan Telpner, Mixie Baby, Baby Rabies, Moby Wrap, BeautyGram, Clek, Ju-Ju-Be, Grades of Green, Beco Baby Carrier, MommyCon, Tekhni, Watch and Roll, Silikids, Purple Frog Patches, Zoli and Wean Green.